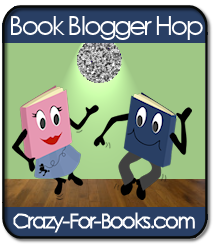 Book Blogger Hop Week 3 - This is a weekly meme hosted by Crazy For Books. Be sure to stop by her blog to check it out! This week's question: Share your favorite post from the last month and tell us why it's close to your heart. I guess my favorite post from the last month would be "Finished the first rewrite of my novel!" My book is my baby, it's the thing I'm most proud of writing, the first book I hope to have published, and it's taken me so long to get here that I was just so excited to share with my blog buddies. I know there are a lot of people out there who can relate to that feeling of euphoria you get from writing, and from finishing (or almost finishing) a big project, and I so appreciated the comments I got. Hopefully someday sooner than later, I'll have the book published, look back on that post and be really proud of how far I've come. Follow Friday Fun Week 2 - this weekly meme is hosted by Parajunkee. Check out her blog for details/rules and to join! Um, well, let's see....when in doubt, turn to books, that's one of my mottos. So I guess the fact that I read a lot of paranormal/supernatural fiction has prepared me somewhat. Although every story's different, right, so how do we know if zombies really act how they're portrayed in books? How do we know they're brain-and-flesh-eating creatures and not actually more civilized? You never know, right? I could at least ignore the Mel Gibson thing, but might be a bit harder to ignore a zombie apocalypse. Have a great Friday, everyone! I'll be back tomorrow or Sunday with my latest Library Loot. If you participate in Book Blogger Hop or Follow Friday Fun - or even if you don't - be sure to leave a comment (I love comments!) and I'll visit you in return! Good luck with your novel. I chose xxxHolic volume 1 by CLAMP as my favorite post for May 2011. Come see why. I wish you the best of luck with your novel. I know that it is a labor of love. Congrats on finishing your first rewrite and good luck with your novel! Have a great week! As the saying goes – the best defense is a good offense. I’ve got that covered! My preparations for the zombie apocalypse are not just intricate, they’re stylish. I’m not talking “last stand” stuff here. I mean to lure in the zombies and slaughter them wholesale while we sip champagne and watch. How am I going to do that? Follow me back to my blog at http://www.howardsherman.net and read all about it. Thank G-d it’s Follow Friday! New follower from the hops. Good luck with your book! Good luck with your novel! I hope I'll get to that point one day:) Just hopping by to say hi!